Today's collector, from the Great White North, is none other than James Hummel. 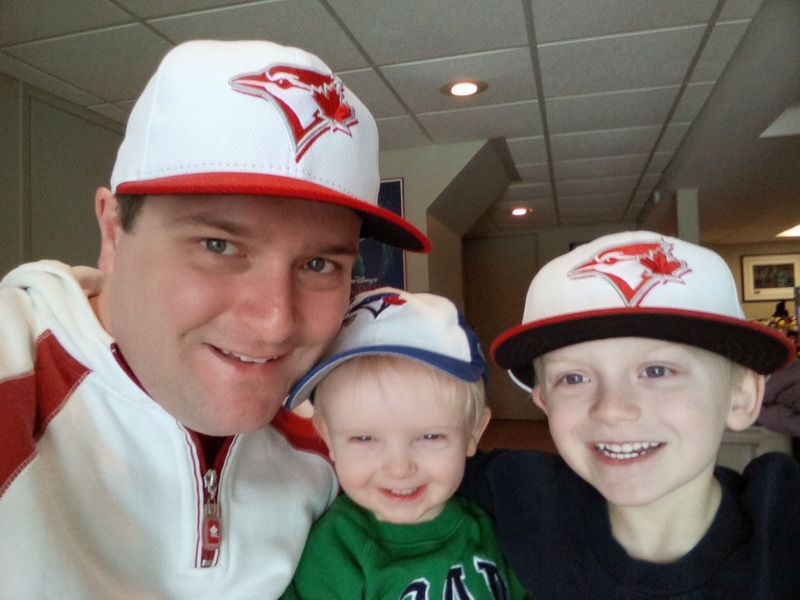 Aside from being the father of the two little guys in the picture above, he is also an avid fitted collector from the outskirts of Toronto. Take a couple of minutes to get to know another great member of our fitted community. TFD: Where are you from/where do you currently reside? JH: I'm from Toronto, Ontario, Canada, where I have lived all my life. I actually live in a city just East, but I work in downtown Toronto. TFD: What size 59Fifty New Era Cap do you wear? TFD: What originally opened your eyes to the fine stylings of New Era Caps? JH: I've always enjoyed wearing "what the pros wear". I started to see all these great MiLB logos and then discovered all of these other non-sport/baseball hats from companies. It just made sense that I could wear all of these great logos and graphic designs on a hat. Most importantly, I love fitteds! TFD: Growing up, what sports interested you the most? JH: First and foremost, baseball. I was born the year the Blue Jays started (1977) and I have grown up with the team. Since I'm Canadian, I also enjoy hockey. In the last 15 years, I've also become a big fan of auto racing (mostly F1). TFD: What teams did you find yourself rooting for? JH: All the Toronto teams; Blue Jays, Maple Leafs, and raptors. TFD: How many New Era's do you currently own? JH: I currently have 68, with seven on the way; that number has grown dramatically in the last 12 months! TFD: What was your first New Era fitted and do you still have it? JH: So, funny enough, my first 59Fifty wasn't even a Blue Jays cap. It was a Cleveland Indians cap. I went with my grandparents on a bus trip to see the Jays play the Indians, in Cleveland. I thought that it would be cool to collect the home team's cap for every MLB stadium I visited; kind of a different souvenir of places I visited. I still have the hat; it sits proudly with my others. It is actually in really good shape, as I wore it infrequently, as I wanted to keep it clean. I can't wear it now, as it is two sizes too small. I'm afraid of stretching it up to my current size, because of it's age. TFD: Did you play any sports growing up? JH: I played baseball for most of my childhood. In high school, I swam competitively and tried my hand at rugby. In my twenties, I paddled in Dragon Boat. TFD: Where do you do the majority of your New Era shopping? JH: So, working in downtown Toronto, I'm really lucky for where I am located. I am less than a ten minute walk from the New Era Flagship store (shout-out to Adam); I also have two Lids stores close by (one i pass everyday commuting on the train). 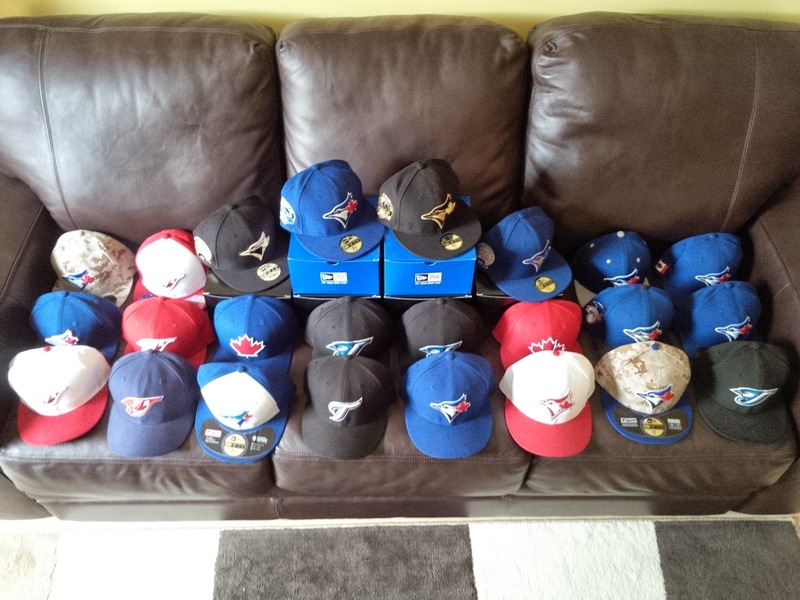 I also buy online at Lids.ca and HatClub.com. TFD: Your alter-ego, of sorts, is Disney North. Do you have many Disney X New Era collaborations? JH: With an online name like Disneynorth, I'm obviously a big Disney fan. I've had that name for about 18 years, now. I collect a lot of Disney stuff. Ironically, I do not own even one Disney X New Era hat. That is about to change. Three of the seven that I have on the way are Disney! ; very excited about those. The Disney hats that were released last year (Steamboat Willie Redux) were not all that appealing. I'm still on the fence about buying them. I do have a bunch of Disney strap-backs that I bought at Walt Disney World. TFD: Are there any fitteds that you're searching for, that you'd considder your holy grail, that our readers may be able to help you out with? JH: There are a few. I still need the gray Jays alternate hat from the early 2000's. I'm also looking for the Cherry Coke hat that was released in Europe, some years ago. Lastly, the Jay-Z X Yankees hat, also from some time ago. 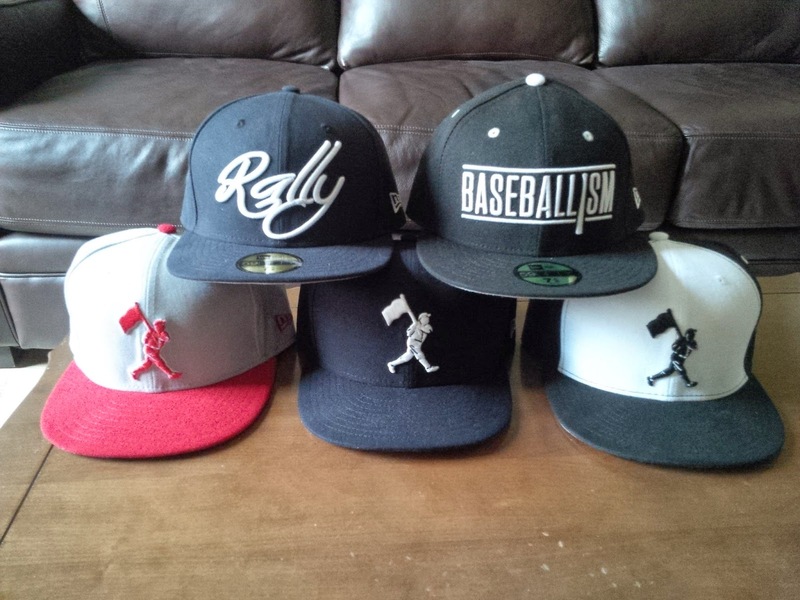 TFD: What is your favorite fitted in your collection? JH: Hard to narrow it down to just one. 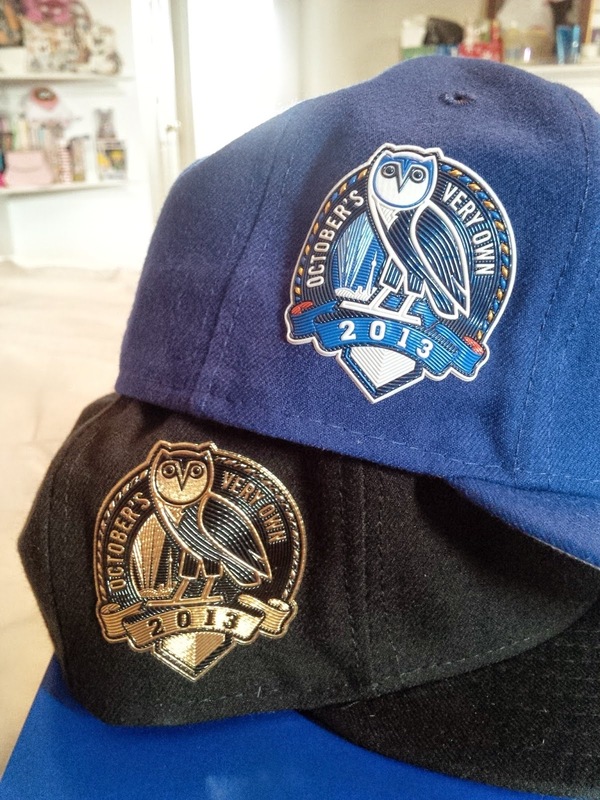 Probably my Blue Jays X OVO/Drake caps that were released last summer. Those two hats were what really got me collecting more. TFD: You are also one of the members of the Facebook group "Team Fitted". What has the group taught you about the fitted culture and community? JH: I've been a collector of many things in my lifetime: comic books, baseball cards, Coca-Cola bottles, and Disney stuff, of course. I've found the members of the fitted community to be extremely helpful. I've never seen so many people help each other out so willingly. All the other collecting communities are so cut-throat. That's why I am always getting hats for others. We have to keep the good karma going. The Facebook group is a really good gang. We are always posting caps and joking about hats; lots of fun. TFD: In this day and age, social media reigns king. Where can the readers find you if interested? JH: @disneynorth for both Twitter and Instagram. TFD Lastly, how would you define your collection? / What quality makes it special to you? Aside from that, I always keep an eye out for fitteds with different logos and graphics, be it from MiLB teams or boutique hat shops; with my first three Disney fitteds on the way, my collection may take an entire new direction! James, along with being perhaps the biggest Disney fan I've ever met, is incredibly helpful when on the hunt for a cap. Recently, he assisted in the search for a certaint Canadian Football League cap, otherwise absent from the U.S. market. Thank you, and stay fitted, James.